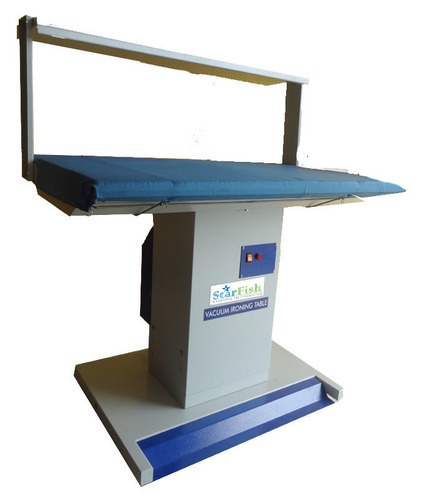 Sara Equipments - In order to meet the different types of demands of the clients, we have come up with a wide range of Vacuum Ironing Table. Our professionals manufacture this range in compliance with the international quality parameters, under the able guidance of our deft team-members. To grab more clients with us, we are availing this range various specifications with customization. By keeping track with market developments, we are involved in manufacturing and supplying an ample assortment of Vacuum Table. These tables are fabricated from superior quality factor inputs and advanced machines. Known for sturdy construction, durability and excellent functionality, our product range can also be customised to meet the diverse requirements of the clients. Clients can avail these vacuum tables from us at the most reasonable prices. Looking for “Vacuum Ironing Table”?